Join the night long festivities of fun activities, fill your bellies with delectable food finds, spend the night mingling, and get a chance to know your food. Panlasang Norte is brought to you by Mahalin Pagkaing Atin in partnership with Mercato Centrale Group that will showcase the famous dishes and delicacies in Luzon. This coming July 31, 2015, take part in this nationwide advocacy and satisfy that craving for authentic Filipino food choices. 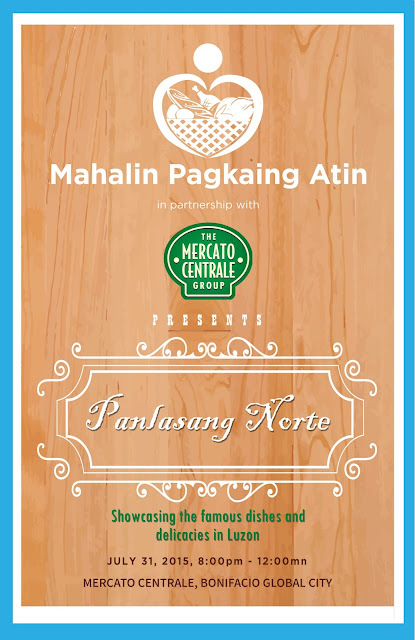 See you at the Mercato Centrale at Bonifacio Global City 8:00PM onwards. Pilmico is providing its customers with high-quality wheat flour and related products since 1962. It also excels in swine production and animal feeds businesses. With its consistent excellence and top-notch products, the company ensures its market competitiveness through increased customer satisfaction.